School districts know that the key to community relations is building an ongoing dialogue. When the community is informed and engaged, a bridge exists for all types of affairs. 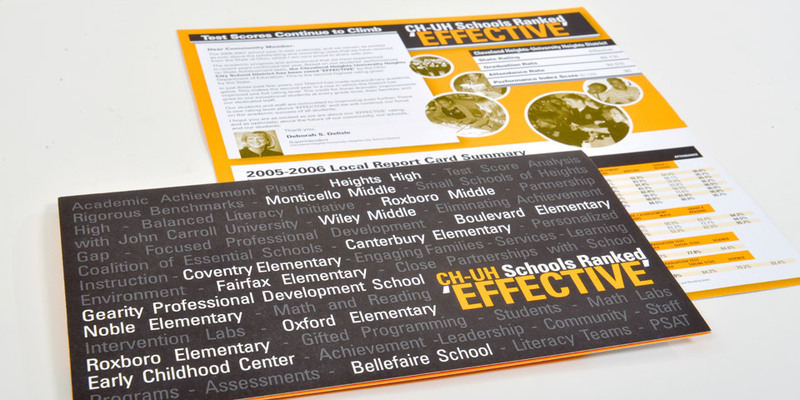 Cleveland Heights-University Heights City School district asked Boom Creative to develop a budget friendly marketing piece to foster the discussion. We responded with a direct mail piece that delivered a message far bigger than its size or budget. Looking for affordable marketing communications? Talk to Boom Creative. As one of the oldest design firms in the Cleveland Ohio area, we’ve learned how to produce big results on small budgets.